GET the lowdown on Sunday's opposition as we continue Auckland City FC's race for an ISPS Handa Premiership minor title. Emiliano Tade could make a comeback from injury while there is a new face among the choices before Ramon Tribulietx with Sam Burfoot rejoining the squad for the second half of the season. Ryan De Vries' move to FC Gifu in the J.League was confirmed on Thursday. Auckland City FC are on a red-hot run of form against Canterbury United with eight wins and five draws in their last 13 ISPS Handa Premiership clashes with the Dragons dating back to 2010-11 when the red and blacks won 1-0 at Kiwitea Street. This match is Auckland City FC's 18th away game at Canterbury United since 2004-05. The Navy Blues impressive record reads 10 wins, five draws and two defeats. Canterbury United's last win over Auckland City FC came on March 10, 2011, when a Ken Yamamoto goal two minutes from time handed the Dragons a rare win at Kiwitea Street. 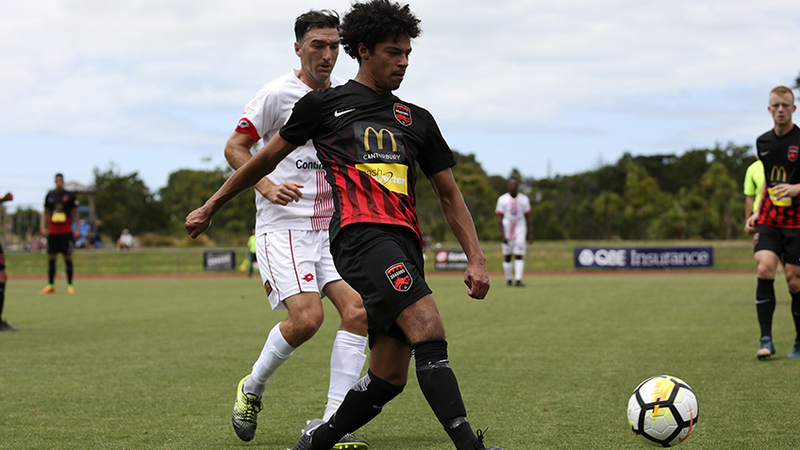 That win saw Canterbury leapfrog Hawke's Bay United into fourth place on the last day of the regular season and claim a place in the playoff semi-finals with Waitakere United. Canterbury United first ever home win over Auckland City FC came on February 19, 2005, when two goals by Stu Kelly cancelled out a Paul Urlovic strike in a game the Dragons won 2-1. The Dragons next home win was December 21, 2008, when goals by Tom Lancaster and Gareth Turnbull gave Canterbury a repeat scoreline win over Auckland City FC. Keryn Jordan was the Navy Blues goalscorer. Auckland City FC's biggest wins over Canterbury United were both by 5-0 margins. The first came on November 13, 2004, when a Grant Young hat-trick and goals from Neil Sykes and Paul Urlovic completed a rout at Kiwitea Street. Young repeated the feat with another hat-trick on March 1, 2009, bookended by goals from Jonathan Raj and Milos Nikolic.